Step 1: Keep the Mathematical Practices in mind at all times. Step 2: Encourage students to think of the process rather than the solution. How do you know this is incorrect? Describe an error a student might make. Could this be done in a different way? How would you explain this to someone in a lower math level? Can you explain this using only variables? Why is this answer correct while this answer is incorrect? This requires reflection and discussion. You can't do it all at once! Select this link to read my blog about finding Area of a Polygon to see how I took a first step in Geometry. At the beginning of any lesson, Use "review" math to get kids talking. Warning, it can take from 5-10 activities of this type before some students feel comfortable making estimates or explaining their reasoning. This is normal!! You can't implement CCSS if the kids won't talk! Start by asking them questions you don't know the answer to. (e.g., How long did your homework take you? Do you like quiet or noise when you study? What do you think helps you most to prepare for a test?) Then, listen! Take their comments and summarize them. Show them to the class so they see they are not alone. Then tell them how you are going to help them learn more about how they learn best. The students still won't talk. I feel like I'm pulling teeth. What should I do? I started with Estimations 180 by Andrew Stadel. These are great conversation starters! The first time I did these with high school classes I had about 6 students participating. After a few weeks, the whole class is involved in the discussion. You are setting the groundwork for taking turns, listening to others, taking chances, etc. These are all things the kids will be doing with standards in CCSS. We have no new CCSS curriculum. I'm concerned the parents will protest if I'm not following the text. What now? Start small. It's okay to use your textbook to guide you. This transition won't happen overnight. Take a look at the next chapter you will be teaching and then check out Nathan Kraft's virtual filing cabinet. It's organized by concept. Click on a few activities and see what might work for this chapter. Some of the activities are fairly rich so they might inspire you on how the lessons can be reorganized or combined. It's so overwhelming. How can I keep track and organize things? When I first began teaching, my goal was to create the perfect lesson so I didn't have to keep finding new things. Well...I've since learned there is no way to teacher perfectly (just as there is no way to learn perfectly). Now, I think of creating a giant toolbox (or filing cabinet) of all the things I might be able to use. That's what good teaching is all about because every class and every student is so different. As I stumble across something new, I'll put it in my filing cabinet and maybe use it later. Although I've decided to post mine so anyone can see it, you don't have to. Just hide the page and don't advertise your site! Here's a link to my filing cabinet. Note that (like my office) it's very messy and I'm the only one who knows where everything is! I'm in a perpetual state of cleaning it...oh well. It works for me. You may find something different that works for you. The important thing is to take things in small steps and realize you will NEVER have it all done. Welcome to the teaching profession! I think that's why I like it best...the lifelong learning. 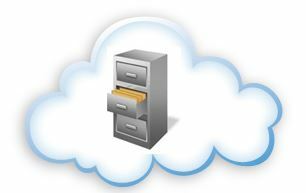 Select this link to go to my virtual filing cabinet and discover many more!